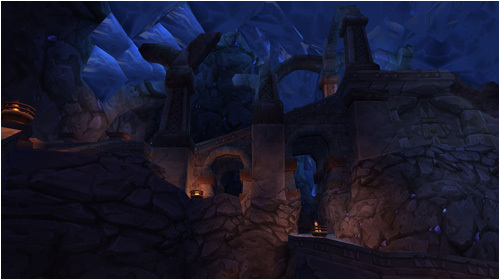 It had been more than six years since Ringo Flinthammer had descended into the depths of Old Ironforge, down steps that had been carved by some of the first dwarves to awaken in the Eastern Kingdoms, transformed during their long sleep from the Earthen the Titans had originally created them as. The passage down still filled him with hushed awe, despite all that he had seen and done since that time. 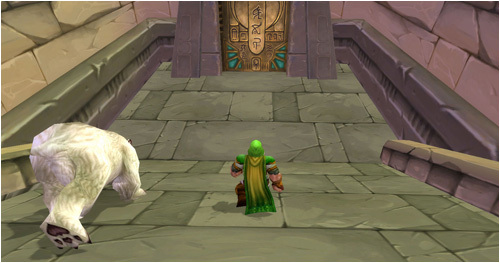 He felt the unseen eyes of all the kings of Ironforge upon him, and knew that they found him wanting. There, on a platform suspended over the fiery heart of Ironforge Mountain, was the last king of Ironforge, the one whom Ringo imagined must be most disappointed in him. “Ah have failed ye, me king,” Ringo said, pulling off his green mountaineer’s hood and falling to one knee. The diamond form of Magni Bronzebeard stood above him, arms outstretched, unmoving since the day he’d read the invocation off the tablets brought back from Ulduar in an attempt to stop the elemental invasion of Khaz Modan. As Theramore vanished on the western horizon, the small group of passengers aboard the Lady Mehley made their way away from the rail and below deck. They were a motley collection heading to the Eastern Kingdoms: A dwarven married couple and their great white bear, a gnomish member of the Kirin Tor, a dwarven paladin of the Argent Crusade (whose nervous hippogryph was attempting to sleep away the voyage in the hold), and a very jumpy goblin. 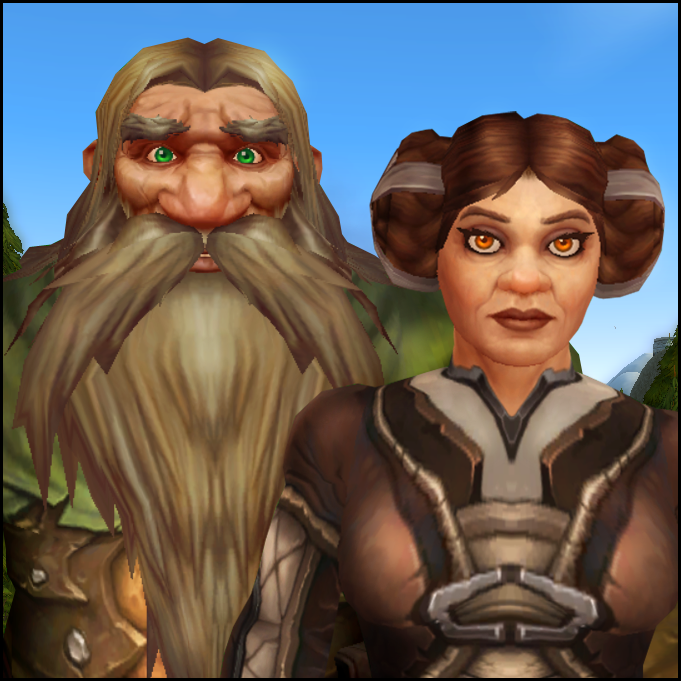 “So, what do ye reckon ye’ll do, then, when we arrive back in Khaz Modan?” Beli Flinthammer asked her husband as she dropped into a chair in the galley. Ringo and Beli Flinthammer landed with heavy thumps and blinked at the seemingly bright sunlight as the Schnotzzis jerked the hoods off their heads. He clapped his hands together suddenly. A door somewhere behind the Flinthammers was flung open and a pair of goblins dragged in a struggling Brann Bronzebeard, who looked at the Flinthammers and seemed to sag a little in the guards’ arms. “I vill take ze book now,” Schnottz said, grinning at Bronzebeard’s expression. “If he sent it to us, it must be because he wants us ta find it before the Horde does,” his wife, Beli said, waving her torch at the tomb’s mouth and squinting. Indeed, the opening of the tomb and the first few rooms were merely dusty, but neither dwarf, nor the massive polar bear trailing them, relaxed any. He waved the torch ahead of him, recoiling at what he saw. Placing her boot on his backside, Beli gave her husband a shove, sending him bouncing down into the darkness, screaming.